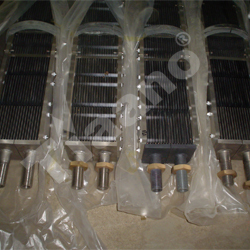 Anode, Cathode, Electrode, Housing, Earthing Electrodes, GRP pipes etc..
Denora, Chloropac, Sanilec, Diaki, Mitsubishi, Pepcon, Electrichlor, Seachlor etc..
Drinkking Water, Disinfection, Cooling Tower, Power Plant, Seawater Treatment etc..
Electrolyzers [an assembly bundle of Dimensionally Stable Anodes and Cathodes] made from any forms like plate, tube, mesh and custom fabricated titanium and nickel alloy substrates. 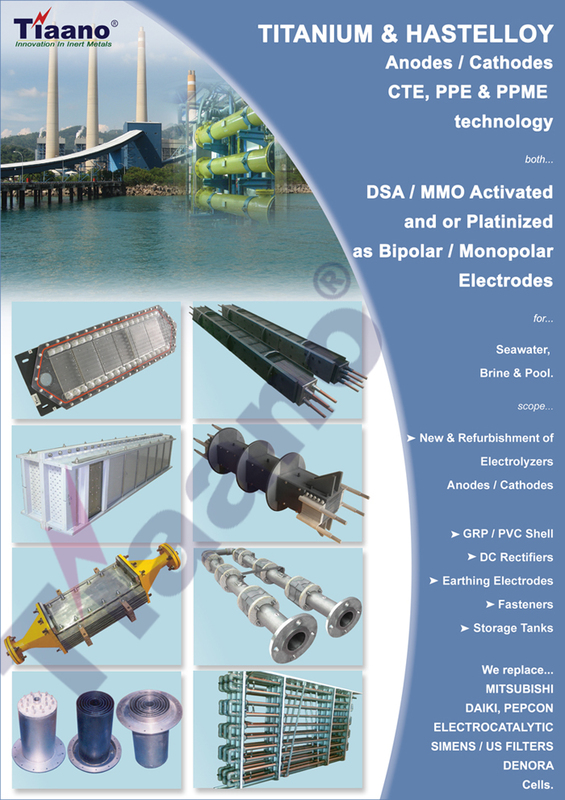 Monopolar anodes, cathodes and bipolar electrodes as a spares for the electrolyzers. CPVC, Clear PVC, PVC with GRP and Rubber (Ebonite) lined SS Electrolyzer Housing shell. PTFE (Teflon), Silicon, Neoprene, EPDM Gaskets. Titanium Coolers to maintain the Hypo temperature between 5 to 27° C.
Titanium, Steel, Copper and Brass Hard wares. GRP pipes for Hypo transfer. Hydrogen Degassing Tank / Venture. M/s. Siemens, USA [US Filters, Chloropac, Sanichlor, OSEC, Seapac, Electrocatalytic]. & many more unlisted companies too.